Enjoy an awesome summer concert in the gorgeous, waterside post and beam pavilion at Mohawk Falls while sipping a cocktail, beer or glass of wine! Sounds good doesn't it? Get your tickets today for this great show by a super talented musician! 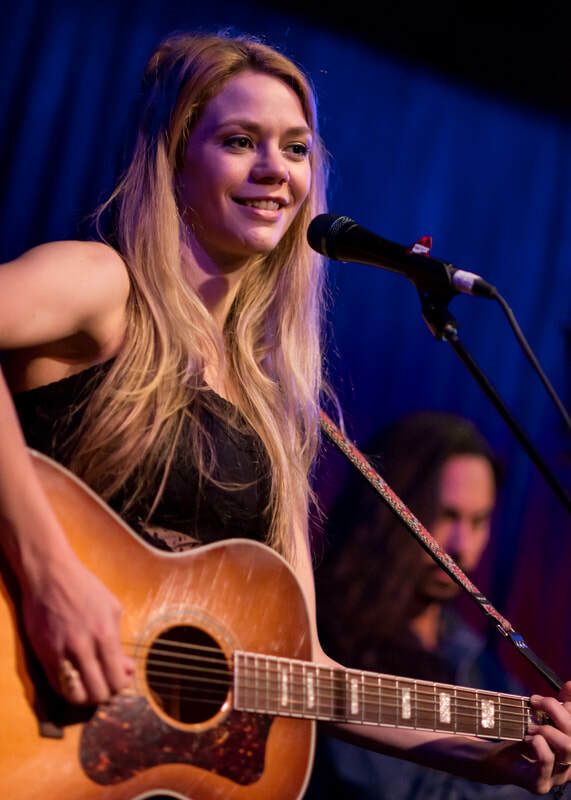 Natalie has opened for Bon Jovi and has a track record of success as an alternative folk-pop singer-songwriter from New York City, now based in California. 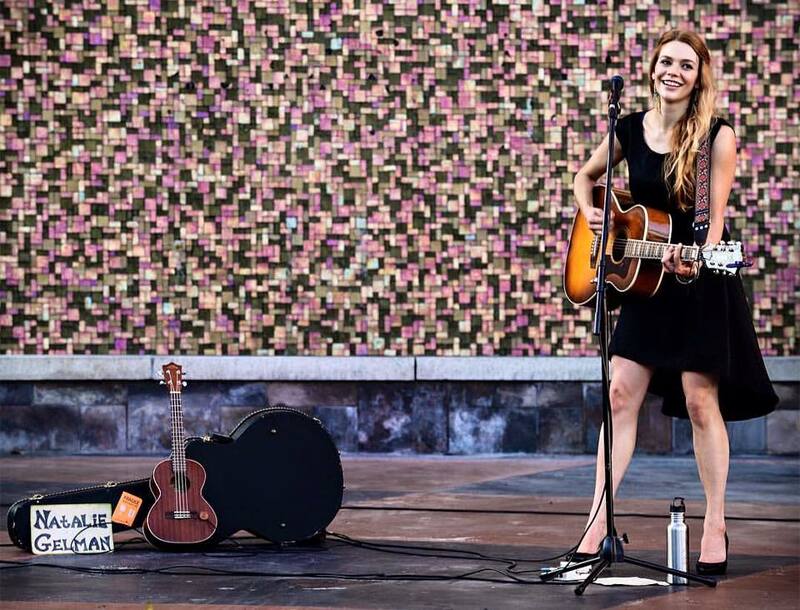 She's coming all the way across the country to perform for in the beautiful North Country of Colebrook, NH! 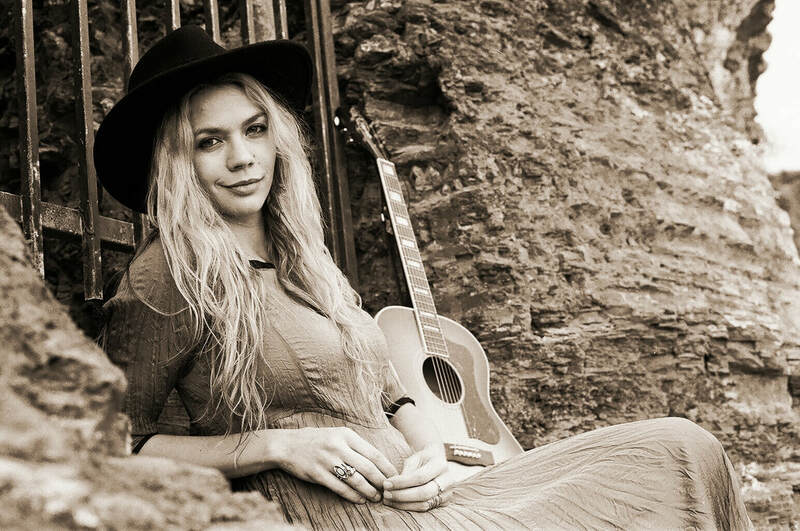 We encourage you to check out her website to learn more: ​www.nataliegelman.com. Opening For Bon Jovi. 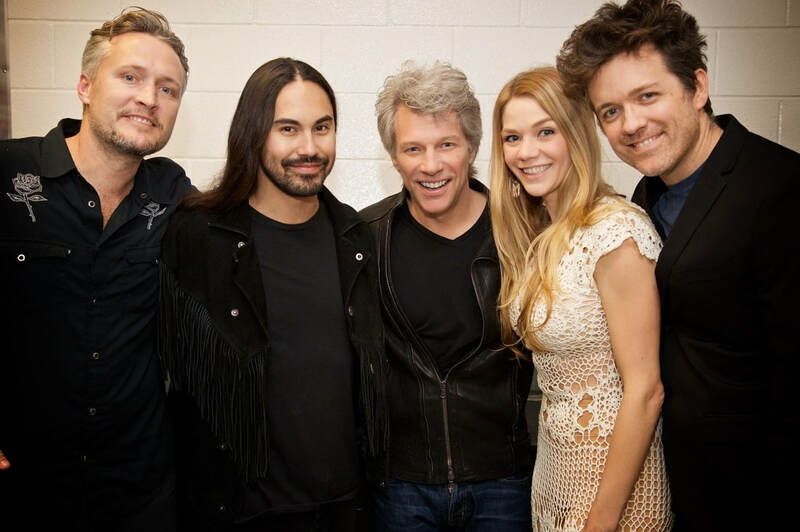 Left to right: Scott Belsha, Josh Moreau, Jon Bon Jovi, Natalie Gelman, Nathan McEuen.